You guys astound me!!! I had no idea that I would be hosting another giveaway so soon. I’m so excited to share with you that I’ve surpassed 25 readers (which is when I was going to offer my next giveaway) and just found out today I now have 39. You guys are the best!! So every time I double in readership, you can expect another giveaway from the little, pink zilredloh blog…. and the next one will happen when I get to 50, since it’s my fault I haven’t been checking my stats on a regular basis. As I did in giveaway #1, I’m posting up three different items and whoever matches the winning, random number can pick what they want Pattern #1, Fabric, or pattern #2. So I’m guessing you want to know I’m offering now, don’t you…. Well, the first pattern I have to offer you ladies, is the Butterick 9695 in a size 14, or 34″ bust. Everyone in the last giveaway seemed really keen on this pattern, so I thought I’d offer it up again, since the last winner choose a different one. As you may recall, I’ve been on a silk-kick lately and I thought I’d get one out of my stash, and share the love with my wonderful readers. There is a little over 2 and 5/8 yards of this 100% silk fabric. I’m actually not certain what type of silk fabric this is, but it’s similar to the kind I used for my swing dress. I think it would make up the perfect pendrell blouse since that’s what I intended it for. And the last item I have for you to choose from is the Simplicity 3123 pattern, in a size 16 or 36″ bust. Isn’t it cute? I really love this pattern. The belt in version 2 is wonderful, don’t you think? And look at all of the different collar options it comes with. 1.) Leave a comment letting me know what project you’re most looking forward to working on this spring/summer. It can be anything, so don’t feel limited to sewing projects only. 2.) Add my site to your RSS reader, or be a current rss-follower. 3.) Post this giveaway on Twitter [Post to Twitter], Facebook [Share on Facebook], or on your own blog. Just remember to leave me a comment letting me know if you also did #2 or #3 (we run on the honor system here, my peeps). Good luck everyone! I’ll be announcing the winner in one week’s time, on Tuesday April 12th. Oh, and it’s open to anyone, no matter where you live. I’m happy to ship anywhere for you guys. I’m not sure if I have to comment again but I am already a follower. So thats two entries right? I’m looking forward to getting some separates done I am bulk cutting 2 tops, 1 skirt and 1 cardigan. I am hoping they will be done so I can show them off in the summer! I love that silk fabric! I follow your blog on google reader (I just started this week after seeing the link to your swing dress). For sewing I want to sew as much of my clothes for summer as I can. Especially a blouse for the first time. I’m looking forward to completing the drapery project I’ve been working on for 6 months. The project grew and grew until I ended up making floor to ceiling drapes with blackout liner and crazy pleating. I know I’ll love the finished project, but I don’t know what I was thinking when I decided to work with 14 vertical feet of fabric for each panel! If I win the giveaway its going to be wonderful to look forward to a fun project I can wear instead of hanging on the wall. I follow you in my Google Reader and I posted this to my Twitter feed. Thanks!! Wow, the patterns are fantastic, and the fabric is beautiful. If I win it will be a difficult choice. Anyway, I have several sewing projects – well, I’ve been stocking up on new and vintage patterns and fabric, so now I need to get sewing. BUT, I have an old Easy Boy Recliner chair that is in need of updating. Yesterday, I saw a great tutorial on how to recover a chair similar to mine. So, I’m going to give it a shot and hopefully create a beautiful addition to my home. Oh, forgot to mention I’m also a current RSS follower. I am working on summer clothes for my 13 year old daughter and I. I have recently come back to sewing after a very long break apart from curtains, repairs and the occasional costume for a school play!!. I am making progress, things are coming back to me and I am learning new techniques every time I use my machine. I have a few more tops to make and then it’s on to the challenge of trousers for me and shorts for her… especially since I can no longer cut and sew things for me without adjustments. I am really enjoying sewing again and this time round finish and fit are paramount. I wish I could say my fabric stash has gone down but it’s quite opposite, maybe that should be my challenge for this summer. What a lovely giveaway! Right now I’m working on an outfit for graduation! (eep!) I’m planning on doing some summery dress but also adding more work appropriate pieces to my wardrobe in the next couple of months. I’m also considering a foray into millinery, but who knows if I’ll get that far. I love that silk. It’s beautiful. I’m currently 6 1/2 months pregnant and I can’t wait to sew a pretty dress for my non-preggo figure. I figure it’ll probably be in August as I’m due June 29th. Also I’m an RSS subscriber. I love your creations! That silk is beautiful. I am currently working on a summer day dress, I am hoping that if I sew warm spring/summer stuff the weather will take the hint:) I also really like your blog and am jealous that you are a Chicago dweller. I lived in the burbs in high school and I will always have fond memories of that city! I am looking forward to so many sewing projects! A striped Butterick 5214 and a spring-green plaid Colette Parfait probably top the list. A much bigger “project,” that will definitely take away from sewing time will be moving back to Boston, my hometown, after 9 years in Pittsburgh! I recently started following your blog on Google reader. Congrats on exceeding your goal! I am dying to make the Pendrell blouse soon, so I can have it in time to wear in warm weather ahead. I preordered the pattern because I was so excited about it, and now it has been languishing in my “to do” bin ever since. The silk fabric you have is beautiful – it would make a fantastic blouse! Keep up the sewing and blogging! I have been following your blog feed through google reader since I first stumbled upon it a short while ago. Your choices of fabrics and patterns are what appealed to me about your blog when I found it. I’m not creative so I like your ideas to get me going as to what to sew next! Your blog is lovely! Thanks for posting often with inspiring projects! The project I am most excited for this spring/summer is a cotton lace dress in aqua with a black waist sash. I am super excited because I have never made anything with lace so it should be a good learning experience. If it goes well, I am going to wear it to a friend’s wedding. This silk is absolutely beautiful! Thanks for the wonderful giveaway! I just bought some Vogue dress patterns when they were on sale and I found a beautiful pattern that reminded me so much of Audrey Hepburn, so that’s going to be my spring break pattern. I also have a few fabrics that I know I want to work with, I found a pink satin (3yards) for $2, so I’ll be using that to. Thanks for hosting the giveaway! 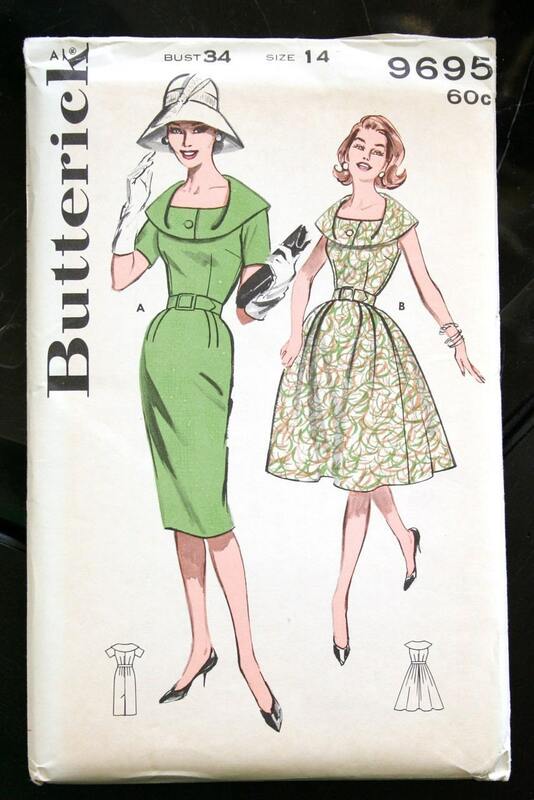 I am looking forward to sewing my Collete Patterns – the beignet skirt and the sencha top. I follow you on blogger, added you to my RSS feed, and posted your giveaway on Facebook. Woo hoo tecnology. Woot woot! I want to enter! I want that fabric so much! I’m a serious silk lover! What am I looking forward to sewing most this Spring/Summer? Hmmmm…I want a jumpsuit/romper. I’ve been wanting one for ages, but I think its finally time. What a great outfit to go to the drive-in in, don’t you think? I seriously can’t wait for warm weather to be here. I also follow you via RSS. I just discovered your blog today… and I’ve rssed it. I love the sweater that you’ve just posted a blog post about…I’d love to make it. I’ve been tinking that it would be interesting to knit in cotton perhaps a deep pink. I’m nuts about deep pink and read. I’ve discovered your blog quite recently and immediately added you to my BlogLovin’ roll – your sewing is so inpiring! I’ve also added you to Google Reader (just to make sure I entre this givaeaway properly!). What an amazing giveaway….if I won I wouldn’t know which to choose!! The project I’m really looking forward to working on is a navy blue lace dress which I bought in the sale and I’m unpicking to make into a new dress with a lovely mushroom grey/brown lining – really hope it works…its very much an experiment! Lucky you for finding such beautiful fabrics – the UK seems like barren ground by comparisoin. I’d love to make the Penderell blouse out of your lovely silk there too! Looking forward to the Easter break (+ royal wedding makes for more holidays this year…even as a republican I can go with that! ); my plans? Sewing of course! I’d really like the Simplicity pattern! My projects? Oh wow, where to start? I have a ton of garments I want to finish/start on. I really wish there was more time in the day for sewing! The thing I’m looking most forward to is getting my garden growing. Nothing like fresh produce! I just bought the two sewaholic patterns so can’t wait to start them! I follow your blog on google reader. Congrats on 50 followers! I love the first pattern. I’m looking forward to making summer dresses. I just love them, and can wear them for about 9 months a year, so they feel so useful. And that silk is stunning! I love your fabric choices! I’m most looking forward to making better friends with the fancy schmany new Viking my mister got me for Christmas. It’s been ages since I’ve really done much in the way of clothing sewing, and I have a never ending pattern stash/list going! Now to work on the skills, the fabric stash, and get to it! I am most looking forward to sewing up lightweight summery skirts. (And to finish making bean bags for bag toss so my dad can stop asking when I will have them ready for him!). I just found your blog through Anna’s mention of giving you the Liebster blog award – I like what I am seeing so I have added you to my blog list and am a follower. I forgot to add that I also follow your blog via google reader. PS-the bacon fest looks amazing! Oooo, I really like the fabric. I’m looking forward to making the Macaron Dress sometime soon! Hi! I’ve been checking into your blog ever since we did the Swing Dress together. Simplicity 2138 is my size (!) and looks so cute! I’m currently working on another early 40s dress to wear for my husband’s homecoming from Afghanistan-it’s been a long-planned project, and I’ve barely started. I have get going, since I only have another month! And I’m a google reader follower. Does that count? Also, I think I’m gonna start making some Christmas gifts a little earlier this year, so that’s exciting too!